Join us for a 30-minute webinar this Friday to learn 5 great ideas to better manage your firm's utilization. In 5 Great Ideas to Better Manage Your Firm’s Utilization, you will learn how utilization and the direct labor multiplier correlate with profit, why it’s important to focus on both at the same time and how small changes in utilization can have a huge impact on revenue. Kate Allen, P.E., Director of A/E/C Industry Surveys at PSMJ, will show you how a 1% increase in utilization can impact your top line. For more than 25 years, Kate has worked hands-on with A/E/C firm leaders to help them improve their utilization. She’ll be sharing stories from other firms’ successes and ideas you can use to make sure your employees are fully utilized. A few months ago, during college graduation season, Millennial blogger and Huffington Post editor, Danny Rubin, created a list of 25 Things Every Young Professional Should Know by Age 25. 1. An Excel PivotTable will change your life. 2. Multi-tasking is great, but some moments require your undivided attention. 4. You're never too busy to write a thank-you note. 5. Don't step into an interview room without research on the company and questions for the employer. 6. Dropbox. Learn it and love it. 7. Treat interns with respect. They'll provide you with management training and ease your workload. 8. To impress older business associates, ask about their own career path. You may also learn a thing or two. 10. The less you write, the tighter the message. The less you talk, the stronger the speech. 1. Clearly define tasks assigned to subconsultants in a formal letter of authorization, subcontract, or other communication sent to the subconsultant. 2. Redefine tasks for subconsultants by issuing a supplement to the original letter or contract. 3. List all QA/QC requirements that are applicable to the assigned tasks through a letter or authorization. 4. Provide subconsultants with design information necessary to perform their assigned tasks. 5. Provide information about all applicable regulatory requirements, design bases and parameters, and other appropriate design requirements. 6. Identify for the subconsultants any records to be prepared, maintained, submitted, or made available for review, such as reports, drawings, specifications, and procedures. 7. Provide subconsultants with copies of project schedules, including milestone dates and QA/QC review dates. 8. Require subconsultant and his or her staff to perform some of their services in your firm's offices, especially where coordination between disciplines and staff is complex, so the QA requirements can be more readily maintained. 9. Review the scope of work specified and coordinate the establishment of QA requirements in consultation with QA team members. 1. What are our overall firm objectives? 2. What are our current and projected mixes? 3. How flexible is our pricing environment? 4. What do we want the price to convey? 5. What will it cost to produce this job (salary/overhead)? 6. How does our cost structure compare to competitors'? 7. What portion of cost is fixed? Variable? 8. How important is price to our client? 9. How much selective demand can we create? 10. Where is this service on the service life-cycle curve? 11. What non-price strategies can we use to redefine this service? 12. How many other firms can offer this same service? 13. How much will raising/lowering price affect profitability? 14. What are the client's time requirements? 15. Is providing this service essential to securing further work with the client? 16. Are we providing special expertise? 17. Where is the location and client? 18. How much will it cost to get this job? 19. Are there factors that may affect our payment? 20. Do we have the financial resources to sustain a loss? 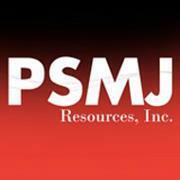 PSMJ Resources, Inc., the premier management consulting firm for the architecture, engineering, and construction industries, is thrilled to announce this year’s members of the 2013 Circle of Excellence. Congratulations to 54 exceptional firms that have risen to the top this year! PSMJ’s exclusive Circle of Excellence is designed to highlight firms that are successfully managed, based on 13 key performance metrics that demonstrate outstanding achievements in profitability, overhead, cash flow, productivity, business development, staff growth, and turnover. The Circle of Excellence represents the top 20% of participants in PSMJ’s annual A/E Financial Performance Benchmark Survey. The firms listed above have agreed to have their names published in association with PSMJ’s Circle of Excellence. Firm names are listed in alphabetical order. We look to these firms for both the basic and creative best practices in the business. PSMJ’s A/E/C Industry Summit will bring together some of the industry’s top leaders and most successful firms to share their experiences and honor this year’s Circle of Excellence members. Located at the Four Seasons Hotel in Las Vegas, NV, on December 5–6, 2013, this year’s cutting-edge conference focuses on getting Back to Growth for 2014, and is essential for any firm looking to stand out as a leader among the crowd. With data from 269 A/E firms across the United States and Canada, the 2013 PSMJ A/E Financial Performance Benchmark Survey Report is the go-to industry resource for firms wanting to increase cash flow, lower overhead, and improve overall financial results. Now in its 33rd edition, the comprehensive report provides the most valuable research and insight available for making critical decisions that impact the success of a firm. With an uncertain economic climate, the emphasis on solid contract terms is increasingly vital to a firm's financial success. Most clients are demanding more work for lower fees, and firms that do not reexamine the terms of their contracts usually find themselves without enough income to break even, let alone make a profit. 1. Get partial or full payment of fees before starting. It's a good negotiating tactic to ask for money up front. The client may not agree, but will understand because many firms are doing the same thing. Receiving money up front, depositing it, and not crediting it to the client until the last invoice has been submitted allows you to avoid a bad debt, and earns maximum interest on the deposit. 2. Dare to require the client to pay unusual reimbursable costs. In addition to normal reimbursables, ask for reimbursement for items such as liability insurance premiums, computer time, and messenger services. With government clients, this term can reduce overhead, making your contract price more attractive. With private sector clients, it can dramatically increase profits. 3. Include a streamlined form of billing and payment. Request that the client agree to a simple monthly payment schedule tied to the scope and schedule of work. This avoids timeconsuming breakdowns of hours and expenses as well as pages of backup. Then, at the end of the project, make any appropriate adjustments. 4. Shorten the client's schedule and then work overtime. In general, shorter schedules produce more profitable projects by reducing excess perfectionism. Also, by working overtime for private sector clients, you may be able to charge clients at your normal billing rate without incurring additional salary or overhead costs. 5. Shorten the billing/payment cycle. To improve cash flow, ask the client to pay twice a month in accordance with a predetermined payment schedule. Shortening the cycle reduces borrowing, thus saving interest expense, and also indicates sooner whether there is a potential bad debt situation. 6. Agree to split savings on underbid construction amounts. This term requires an independent estimator, but it could save the project's profitability. If you agree to a design fee that is lower than the original fee estimate without a corresponding scope reduction, you should also not share in losses if the project comes in under bid. 7. Agree to guaranteed interest on late payments. Discuss interest terms with the client and make certain to include a guarantee of interest on late payments. If the client does not agree, negotiate for an advance payment instead. 8. Insert a provision that precisely measures scope changes. For instance, arrange for the client to sign a record copy of the drawings at specified calendar dates, indicating that decisions made as of that date are known and accepted. Don't tie the signature to completion of a phrase, since that is difficult to ascertain. 9. Ask that clients make payments directly to consultants instead of through the prime professional. This eliminates the problem of one design firm holding funds for another.